After drawing and painting for most of my life, my breakthrough work happened just less than 2 years ago with a drawing of my daughter ‘Julia at 8’. 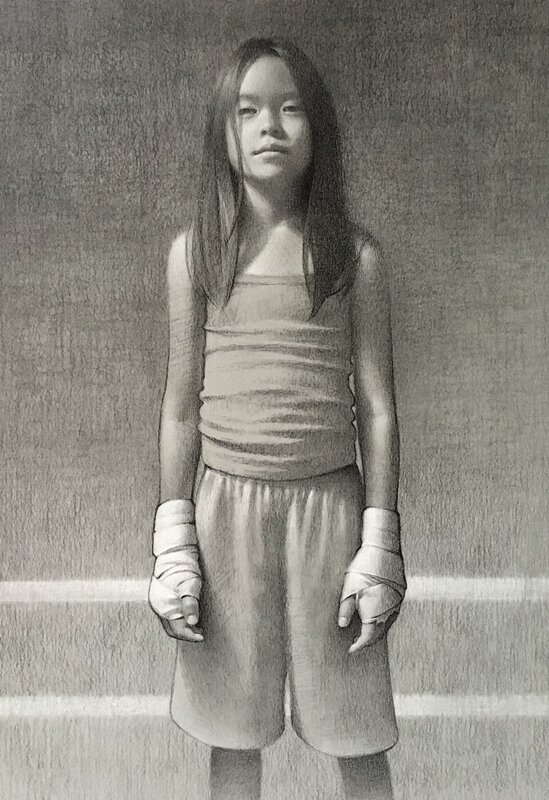 I’ve long used boxing themes in my work as a metaphor for life, but it was this drawing of Julia where everything started coming together. I was particularly happy with the gesture of her stance and that I was able to not lose that gesture as the piece developed. It also reminded me again how important drawing is in the development of a unique and personal voice....and that if you can establish this with drawing, it can translate into painting. I’ve learned that it cannot happen overnight, and breakthroughs usually take many years of practice at art (and life).